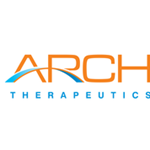 FRAMINGHAM, Mass., Sept. 25, 2018 (GLOBE NEWSWIRE) -- Arch Therapeutics, Inc. (OTCQB: ARTH) ("Arch" or the "Company"), developer of novel liquid, gel and solid hemostatic and wound care devices, will be featured as a presenting company at the Ladenburg Thalmann 2018 Healthcare Conference. The conference is being held on October 2, 2018 at the Sofitel Hotel, New York. Chief Executive Officer, Terrence W. Norchi, MD, is scheduled to provide a corporate update on Tuesday, October 2 at 4:00 PM ET in Track 3 – St. Germain II. Arch Therapeutics, Inc. is a biotechnology company developing a novel approach to stop bleeding (hemostasis), control leaking (sealant) and manage wounds during surgery, trauma and interventional care. Arch is developing products based on an innovative self-assembling barrier technology platform with the goal of making care faster and safer for patients. Arch's development stage product candidates include AC5™ Topical Gel and AC5™ Surgical Hemostatic Device. Ladenburg Thalmann Financial Services Inc. is a publicly-traded diversified financial services company based in Miami, Florida. Ladenburg’s subsidiaries include industry-leading independent advisory and brokerage (IAB) firms Securities America, Triad Advisors, Securities Service Network, Investacorp and KMS Financial Services, as well as Premier Trust, Ladenburg Thalmann Asset Management, Highland Capital Brokerage, a leading independent life insurance brokerage company, Ladenburg Thalmann Annuity Insurance Services, a full-service annuity processing and marketing company, and Ladenburg Thalmann & Co. Inc., an investment bank which has been a member of the New York Stock Exchange for over 135 years. The company is committed to investing in the growth of its subsidiaries while respecting and maintaining their individual business identities, cultures, and leadership. For more information, please visit www.ladenburg.com. This news release contains "forward-looking statements" as that term is defined in Section 27A of the Securities Act of 1933, as amended, and Section 21E of the Securities Exchange Act of 1934, as amended. Statements in this press release that are not purely historical are forward-looking statements and include any statements regarding beliefs, plans, expectations or intentions regarding the future. Such forward-looking statements include, among other things, references to novel technologies and methods, our business and product development plans and projections, or market information. Actual results could differ from those projected in any forward-looking statements due to numerous factors. Such factors include, among others, the inherent uncertainties associated with developing new products or technologies and operating as a development stage company, our ability to retain important members of our management team and attract other qualified personnel, our ability to raise the additional funding we will need to continue to pursue our business and product development plans, our ability to obtain required regulatory approvals, our ability to develop and commercialize products based on our technology platform, and market conditions. These forward-looking statements are made as of the date of this news release, and we assume no obligation to update the forward-looking statements, or to update the reasons why actual results could differ from those projected in the forward-looking statements. Although we believe that any beliefs, plans, expectations and intentions contained in this press release are reasonable, there can be no assurance that any such beliefs, plans, expectations or intentions will prove to be accurate. Investors should consult all of the information set forth herein and should also refer to the risk factors disclosure outlined in the reports and other documents we file with the SEC, available at www.sec.gov.